We provide an efficient and cost effective international removals service, without compromising the quality of service on which we have built our reputation. With years of experience helping clients moving to Finland from the UK, we understand the logistics of the journey and can provide a service far superior to our competitors. These vehicles run on air ride suspension and boast an adjustable bearing system, which ensures little or no movement of vehicle contents. These bars also enable us to create partitions between consignments which prevents cross contamination. Why use Schepens when moving to Finland from the UK? Helsinki, Espoo, Tampere, Vantaa, Turku, Oulu plus many others. Finland is a picturesque country with a lot going for it! It has a robust economy, vibrant culture, and world-class infrastructure Finland is also packed with friendly people who are welcoming of visitors and migrants. These factors combine to attract many UK expats, who often move to Finland to study, retire or start a business. If you are one of lucky people moving to Finland in the coming year, make the process easier by hiring a professional removals company like Schepens. With more than 100 years of experience, we make removals to Finland from UK easy! SPEAK TO US TODAY ON 01202 377 220 TO BOOK A NO OBLIGATION REMOVALS QUOTATION FROM OUR FINLAND REMOVALISTS. All clients are assigned a dedicated move coordinator at the start of the removals process. They will help you understand the technical requirements of your removal and answer any questions that you may have. Your move coordinator will also be constantly available during the removal to provide you with updates. This guide will take a closer look at Finland and identify the most common reasons why UK expats love this country. Then, we’ll explain why Schepens is the best choice for removals to Finland from UK. Finland has a GDP per capita output equal to other advanced economies like Germany, France, and the UK. The economy is industrialised and has many strong industries, including manufacturing primary production, professional services, electronics, and mining. It is a strong exporting country that is tightly integrated with the global economy. It is a fantastic destination for anyone looking for employment. The history of Finland stretches back many thousands of years. It was an important location in the Bronze and Iron ages, with huge settlements in the Häme and Savo regions. The country has prevailed despite some major conflicts, including a civil war in the early 20th-Century. It is influenced by many European cultures but has its own distinct culture, which is deep and very interesting. Because Finland is an export nation, it has excellent transit routes to other countries, including Sweden, Germany, Russia, Denmark, and Poland. It is easy to travel to other parts of Europe, which makes it the perfect base for anyone interesting in visiting other countries. The food in Finland is incredibly good. They tend to enjoy rich comfort food as it helps them stay warm in the colder months. This includes delicious breads, cheeses, soups, and vegetables. They are also crazy about coffee, with the Finnish people being one of the heaviest consumers of coffee in the world. You will love the cafe scene and the wonderful pastries on offer. These resources will make your move to Finland easier to organise! WHY USE SCHEPENS FOR REMOVALS TO FINLAND FROM UK? Our team of skilled removers performs many removals to Finland from the UK each year. This has given us exceptional knowledge of this country. The regularity of our removals to this part of the world means we can offer clients very flexible delivery schedules. Schepens is a large European removals company with storage depots and processing centres across Europe. The scale of our operation helps obtain a high level of efficiency and cost savings. Those cost savings are passed to our clients, making us the cheapest provider of removals to Finland from the UK. We operate a large fleet of modern removals vehicles. They are fitted with advanced features including air ride suspension and an adjustable barring system. This ensures that your cargo will be safe during the journey to Finland. Our move coordinators can help you complete any customs paperwork that must be filed before entering Finland. Packing your possessions for the trip to Finland can be quite time consuming. 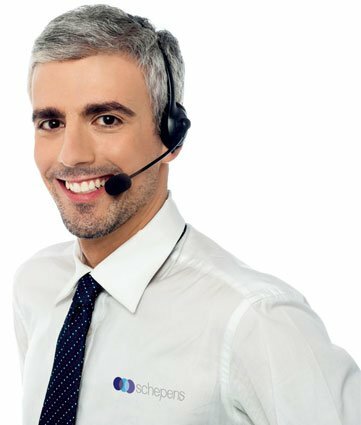 Why not let Schepens handle it for you? Using our professional packing service saves you time and ensures that your cargo is adequately prepared for the removal. Schepens works with a number of insurance providers to offer clients many cargo insurance options to choose from. Schepens move to and from all the major towns and cities in Finland including: Helsinki, Espoo, Tampere, Vantaa, Turku, Oulu plus many others. IF YOU REQUIRE REMOVALS TO FINLAND FROM UK, CONTACT US TODAY ON 01794 323558 TO GET A FREE, NO-OBLIGATION QUOTE. Please call us on 01794 323558 for your free no obligation quote for removals to Finland from the UK and elsewhere!